With its close proximity to Cape Town, Hermanus is the perfect getaway destination. This once small fishing village has burst into an eco-tourism playground and has become known as the whale watching capital of South Africa. 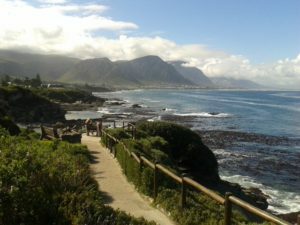 A day trip might leave you wanting more so it is best to rather spend a night or two for your Hermanus whale watching getaway. 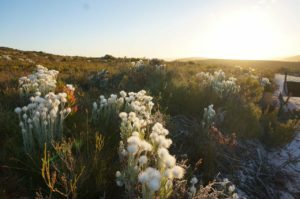 Be sure to filter you accommodation search as there is a vast choice to suit any desire, be it on the cliff paths, beach, the town centre or on the foot of a fynbos-covered mountain. Here are some local tips on what to see and do in the area for a short stay. To find accommodation nearby, visit HotelsCombined​. There are two ways to drive from Cape Town to Hermanus; the very scenic coastal route or the somewhat quicker N2 highway. 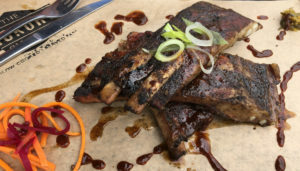 If driving along the N2 via Elgin, time your trip to be passing Grabouw/Elgin around lunch time as the Texas style smokehouse Hickory Shack is a must for all meat lovers. If you opt for the more scenic coastal route from Cape Town along the R44 then be sure to stop at Stony Point Penguin Colony in Betty’s Bay. 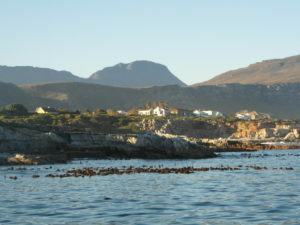 Stony Point Nature Reserve is home to one of the largest successful breeding colonies of African Penguin in the world. The entrance fee is easy on the pocket and there is a load of interesting information on the town’s history. Until 1930, the Point was not known for penguins, but rather as a fully operational Whaling Station. Aim to arrive in Hermanus around 14h00 for check-in at your hotel or AirBnB. Freshen up and head to the Old Harbour to get your bearings, where you might even have to chance to meet the famous Whale Crier who is usually staring out to sea at Gearing’s Point. Depending on the weather, take an afternoon stroll along the cliff paths to get your first taste of whale watching from land. If you want the 5 star land-based Hermanus whale watching experience, then book yourself an afternoon guided tour. 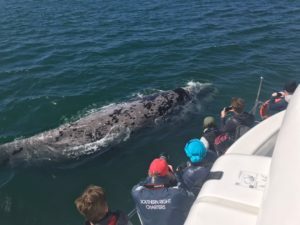 The guide will take you to all the hot-spots as well as the secret local coves to ensure you get the best chance of seeing the southern right whales. The awesome thing about the tour is when you see the whale, the guide can explain the whales’ behavior, what might come next and where to look, so that you won’t end up with a stack of ‘blank’ photos of the Atlantic Ocean. If walking is not your thing you can book a Scenic whale watching flight for your afternoon activity. The plane takes off near Stanford, which is a small village about 20 minutes out of Hermanus. You can choose a short 30 minute flight over the bay or a lengthier 60 minute flight. Take a drive up Rotary Way Look out point. Not only on a clear afternoon can you see whales from this vantage point but the panorama of the town below whilst being surrounded by fynbos is idyllic. It is best to take a warm jacket and not to stay after dark. Add more excitement to this trip by booking yourself a wine tasting quad bike tour. Which will have you travelling to the lookout point via vineyards and valleys and ends off with a welcoming wine tasting. (Early afternoon activity due to it getting dark earlier in whale season, South Africa’s winter). Alternatively, visit either Onrus or Grotto beaches, both have restaurants overlooking the sandy shores. If a little more luxury is needed for you to end off the day, then sundowners on the terrace of one of the lavish hotels overlooking Walker Bay is a must. To perfectly complement your land or air viewing of whales, it is now time to take you knowledge and camera shutter speed to the next level! After a light breakfast, head down to the Hermanus New Harbour for boat-based whale watching with Southern Right Charters! 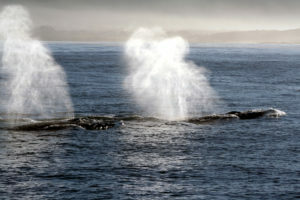 From seeing them from afar on land and guessing what the whales might be up to – to seeing them metres away! Be it mating, tail slapping, breaching or logging, the specialist guide will keep you informed on all the behavioral antic’s. Whilst the whale watching catamaran explores the bay, be sure to take in the sights and fresh ocean air. You never know what you may see as during whale season, three different whale species can be spotted – as well as penguins, seals and often dolphins too. No two boat-based whale watching trips are ever the same, so you might want to book a second trip for the afternoon or the following morning. When booking your Hermanus Whale Watching Boat Tour in advance, inquire about the returning discounts. After the boat tour, take a short walk through the Whale Museum before lunch. Here you can put all your whale sightings into perspective. What better way than standing beneath a real skeleton of a southern right whale. This petite museum needs about 20 minutes to explore. Hooked on whale watching? Then extend your viewing hours and head to one of the many restaurants in the town centre that offer beautiful sea views. One is even located in a cave overlooking the bay! You could be watching whales whilst enjoying your meal. If culinary delights and a change of scenery is what you are looking, for then head into the ridiculously scenic Hermanus Wine Valley (Hemel-en-Aarde Valley) for a food and wine pairing lunch. We look forward to welcoming you at Southern Right Charters this whale watching season in Hermanus.